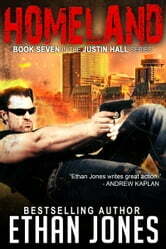 **Amazon bestselling author Ethan Jones brings you the seventh thriller in his Justin Hall spy series—Homeland. After a hair-raising mission deep inside ISIS-ruled northern Iraq, Justin Hall, CIS’s best field operative, discovers that terrorists’ have his homeland in their sights. They are determined to deal a deadly blow to a famous arena and cause massive casualties. Justin and his partner, Carrie O’Connor, are dispatched to dismantle the terrorist plot in what will turn to be their deadliest assignment. As they untangle an international web of lies and deceits, stretching from Canada to Russia to Saudi Arabia, they discover that their allies and enemies are not who they seem. And when they infiltrate the heartland of lawless Yemen, Justin and Carrie are plunged into a death-defying operation. Can they find the truth and save their homeland? 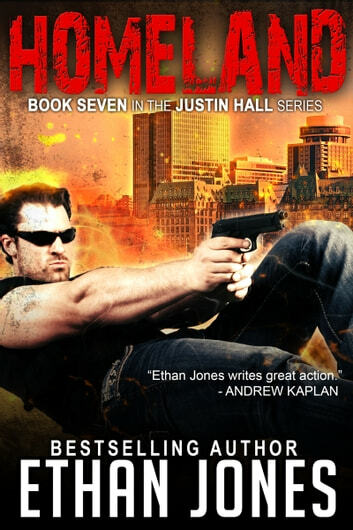 “Ethan Jones latest entry in the Justin Hall series starts the action quickly and continues throughout the book. Another great read from Mr. Jones. Homeland is the seventh novel in this best-selling series with hundreds of five-star reviews and thousands of sales and downloads. Each book is a self-contained story without cliffhangers and can be enjoyed on its own. A high-octane, fast-paced, suspense thriller all wrapped up and ready to explode! If you like Silva, Fleming, or Flynn, you’ll love Homeland. It's nice to read a book set, in part, in Canada. Ethan Jones has developed characters that can be given credibility and has created a very believeable plot. Enjoyed this book very much . Interesting from page one . Will be reading Ethan Jones books again . Thank you . Great story page after page, could not let go until the, very captivating and intriguing!If only terrors and terrorism could be dealt with in this manner we all would live in a much more peaceful world!I enjoyed the story and especially loved the cliff hanger end because in real life it never ends, it just goes on and on. I recommend this book to all those that love ain't-terrorism stories!